PART OF PLANT – Peel & fruit. ANTI-SPASMODICrelaxes muscle spasms / reduces fluid retention / promotes lymphatic and blood circulation. TONIC EFFECTS ON DIGESTION – treats: dyspepsia / gastritis / flatulence / hiccoughs (hiccups) / indigestion. 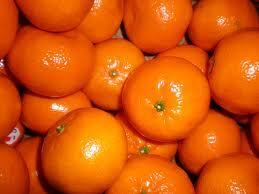 SPECIAL – Many Aromatherapy experts describe Tangerine Essential Oil to be the safest for use on children. / As it can be safely used during pregnancy, it is one of the finest oils to prevent stretchmarks.